Few criminal charges are the result of false claims as often as those involving domestic violence allegations. Unfortunately, it is fairly common for people to fabricate claims of violence to “get even” with an ex or to gain an advantage in a child custody matter. Unfortunately, many defendants make the mistake of not taking such charges as seriously as they should. If you have been charged with domestic assault then you are facing jail time, fines, and the loss of your ability to carry a firearm. Contact Phoenix criminal defense attorney Bretton Barber today to discuss your options. If the prosecution is pursuing a misdemeanor then the case will proceed in Municipal or Justice Court, depending on where the arrest took place. If one is charged with a felony then an Indictment or an Information will be filed after the state has shown probable cause justifying the case. There are several issues which arise in domestic violence cases. These include whether the incident actually occurred, who was actually the “primary aggressor,” and whether incriminating statements were made to the police. Hiring an attorney who understands these issues, and who is ready to take your case to trial, will impact the outcome of your matter. Bretton Barber is an aggressive defense attorney who defends the rights of the accused. Bretton will immediately obtain the arrest reports, victim statements, and other evidence relating to the arrest. If any statements were made to the police then, if feasible, he will file to exclude them under the Fifth Amendment. He will visit the scene of the incident and interview any relevant witnesses to gain a greater view of what happened. He will determine if you were acting in self-defense and will be prepared to try the case on your behalf. Domestic violence is a serious charge and it is important that your attorney treat it as such. In addition to Phoenix we represent defendants in other Maricopa County cities such as Mesa, Glendale, Scottsdale, Chandler, and Gilbert. We also assist Pima County residents in Tucson. 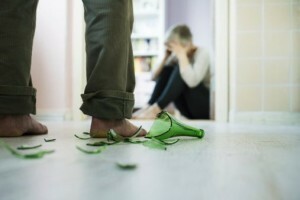 False domestic violence claims, unfortunately, are somewhat common when a former couple is in the middle of a contentious divorce or child custody battle. Some parents believe that falsely accusing their child’s other parent of domestic violence will give them an “edge” in their legal case. They may also simply want to punish their ex-partner. If you have been accused of domestic violence and have an open Family Court case then it is important to take immediate legal action and let your attorney know about your family law issues. If you are convicted of abusing your children’s parent you may be in danger of losing custody permanently, or being ordered to stay away from your children’s home or school. Our office has the experience necessary to defend those who are wrongly accused for dishonest purposes. Call today.